Laiecha and David's love story has got to be one of my favorites. On the last day of a business trip and looking for a good meal, David stumbles into the Kansas City Juke House, a laid-back venue featuring live jazz & blues. On this particular day, it was poetry reading night and well, let's just say David is not much for poetry. But, hungry as he was, he stayed to grab a bite to eat. Laiecha, who must have seen a look of slight discomfort in David, went up to him and said, "You look lost." Those three little words would turn into so much more. David had to return to California the next day, but he wasn't ready to leave the amazing girl he'd just met. 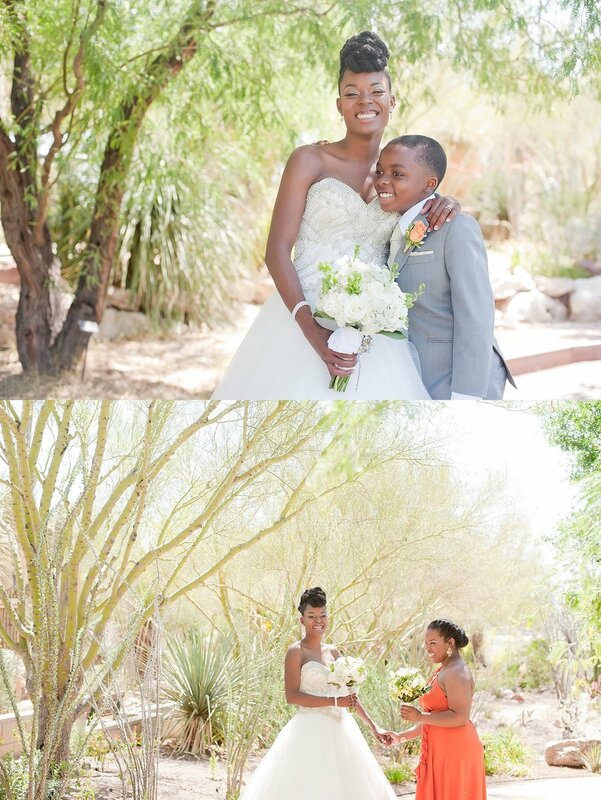 We met Laiecha + David a few months ago when they came to Vegas to finalize a few wedding details. We walked around Springs Preserve talking about how they met, what they liked to do for fun, and just had a great time getting to know them. Once their wedding day came it was like seeing old friends again. Jason met up with David at the MGM Hotel & Casino where he was getting ready before they made their way to the ceremony venue. 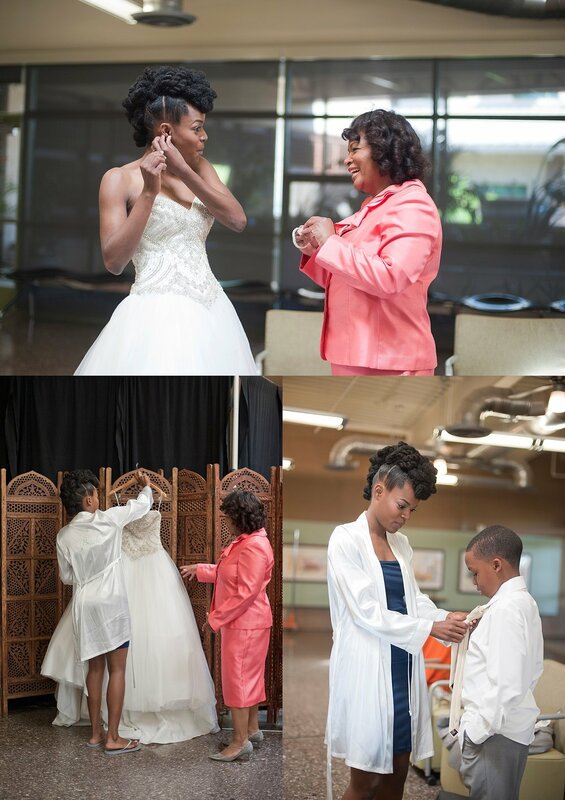 I met Laiecha at the Springs Preserve, where she finished getting ready together with her mom, maid of honor, and son. 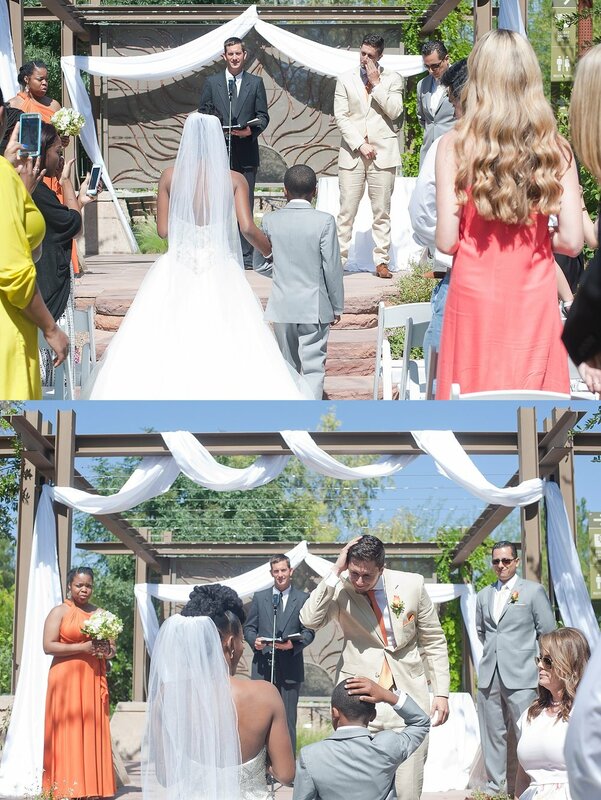 Instead of a first look, Laiecha and David, opted to not see each other before the ceremony. But, they did want to have a moment and say a prayer together. So, we set them up on opposite sides of a pillar and they held hands while David prayed. It was such a sweet moment to document. These two had family and friends come from all over the country to be witness their wedding day. It was an beautiful ceremony full of laughter, tears, and secret handshakes. It was a day when 3 people became a family and I just loved how Laiecha and David made her son a big part of the ceremony. After the ceremony, we toured the picture-perfect grounds of the Springs Preserve for some fun and gorgeous portraits of the newlyweds.